Connie Wehmeyer is an associate partner and the director of teaching and learning for Four Point Education Partners. She leads the firm’s focus on PK12 curriculum and instruction to support school and district improvement and instructional leadership. 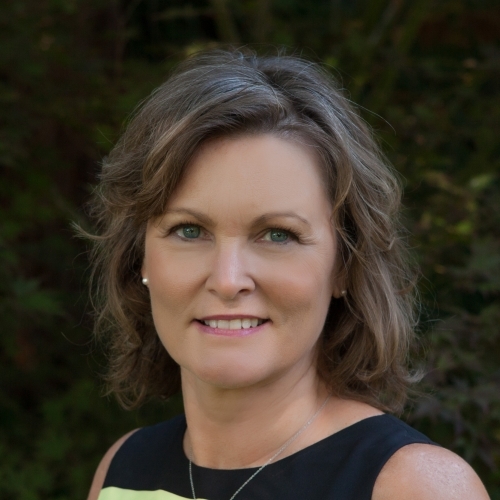 Connie is an expert at programming for college and career readiness to maximize learning for all students and initiatives that support innovative learning opportunities for middle and high schools. Connie has more than 30 years of experience as an educator and administrator. As a district administrator for teaching and learning, she facilitated the creation of a standards-based written curriculum, developed structures and processes to facilitate professional learning communities, authored and delivered many professional learning opportunities, and managed federal and state program budgets for school-wide programs. Her efforts resulted in increased student achievement and allowed the district be removed from a Title 1 “needs improvement” status. This work also increased the learning of students with disabilities in the district through a focus on literacy. Prior to joining FourPoint, Wehmeyer served as a school and district improvement specialist at the Kansas State Department of Education providing technical assistance to low-performing schools and districts. She led root cause analysis work in districts to identify effective use of Title program dollars, improve processes and procedures to support student learning, and guide program development and leadership decisions for school turnaround. Moreover, she utilized improvement science research to support sustainability of initiatives. She has authored many handbooks and tools to support educator understanding of Title 1 school improvement processes and school turnaround models. In 2010, Connie developed a training and delivery model to support district and state implementation of college- and career-ready standards. Implementation resources included needs assessments to determine district readiness and guide the planning process and on-line clearinghouse of vetted instructional supports for ELA/literacy and math, teacher and principal professional development, and parent communication. Partnering with districts, Connie created instructional frameworks, professional development plans, classroom observations tools and protocols, and professional learning community structures to support student success in college, career and life. Most recently, her work includes support to schools and districts seeking evidence-based practices aligned to the Every Child Succeeds Act.